Wishing for a baby is, for many, the single most important thing in their lives. Germany’s first ever consumer focused fertility show is set to take place in Berlin at the MOA Berlin, Mercure Hotel on the 18th – 19th February 2017. Tickets are on sale now for this unique two-day event. With over 60 seminars and 50 exhibitors covering a range of topical issues with information on the latest research and access to some of the leading minds in the fertility world from across the globe. The show is for anyone and everyone looking to start or extend their family. We’ve worked hard to ensure that, no matter your situation, you’ll come away from the Show with all the information you need for the next stage on your path towards parenthood. 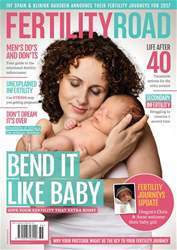 Men's Do's and Don'ts, Treatment options for the older woman, Secondary Infertility, Yoga, Postcode Lottery and more. IS STRESS CAUSING YOUR UNEXPLAINED INFERTILITY?